​Providing endless applications for insulation, marking, strain relief and mechanical protection. Shawcor's single-wall heat shrink tubing insulates, provides strain relief and protects against mechanical damage and abrasion. Our tubing comes in a wide range of sizes, colors and materials, varying by product family. Sizes: From 3/64" to 5"
The DERAY®-I is an universal high performance heat shrink tubing with excellent physical and mechanical properties. It is used for mechanical protection and for terminal strain relief and wire bundling. 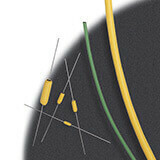 The DERAY®-LSB is a low shrink temperature tubing. It is used to cover sensitive electronic components. 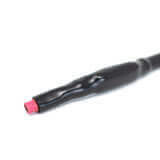 The CPX 100 is a multi-purpose heat shrink tubing resistant to common fluids and solvents. The typical applications vary from electrical insulation of wire splices and terminals to strain relief of wire terminations and protecting components from abrasion and fluids. 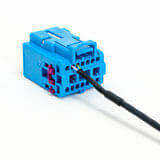 The CPX 876 is specially designed to insulate in-line splices and to protect and bundle small wire harnesses.